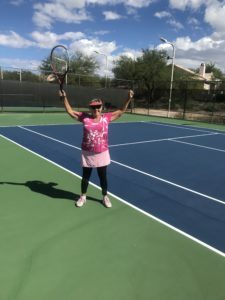 My day usually begins with a singles set of tennis with my husband, Bub. So, I was delighted to learn it is going to lengthen our lives by 9.7 years, according to a study done over 25 years with 8600 participants! The interesting research attributes this not only to the sport but to the socializing that takes place. Hopefully, we won’t be penalized by not playing with others! Daily matches are easy to enjoy when home, but pose some challenges while traveling. Before we travel, I research hotels we plan to stay in and base our choices, often, on tennis court availability. In larger towns and cities, it isn’t too difficult, although it can lead to pricier accommodations. In smaller towns, hotels that have courts are rare and far between. 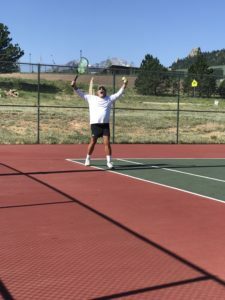 On a recent 3-week road trip through Arizona, New Mexico, Colorado, Nebraska, Wyoming, Montana, Idaho, and Utah, the tennis venues were a priority. Mostly we stayed in old historic hotels along the way and not one had tennis courts. Happily, finding available, free courts in most towns was easier than I imagined. If the town has a high school or even junior high, there are usually free courts. Google Earth gives you good an overhead to see what is there. Just Google the school and take a look. The tricky part about this is they are frequently locked and it’s hard to tell that from an overhead. Just asking at the hotel or locals works some of the time, but it’s surprising how many people live in a town and just don’t know! Guess tennis isn’t everyone’s thing. I was excited when I found the website https://tennisround.com . 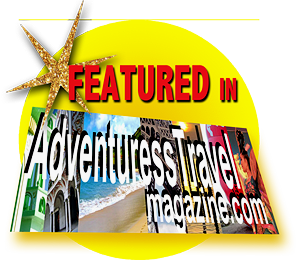 An amazing resource: the site is comprehensive and complete with information on 6000 cities! Your search can filter access, indoor/outdoor and whether they are lighted to show you availability that fits your needs. The free version does a remarkably fine job of supplying the basic information about the courts. We never found any outdated information. For our purposes, it served us well, even in small towns like Chadron, Nebraska or Lava Hot Springs, Idaho! Only once did we have a short wait at some courts while other players finished. The rest of the time these courts were empty, available and not locked. The upgraded version additionally matches you with others and has quite a few features to connect and track for a monthly fee of $6.99 or a $49 one time fee. I’m looking forward to the extra 9.7 years we’re gonna live by playing tennis regularly!